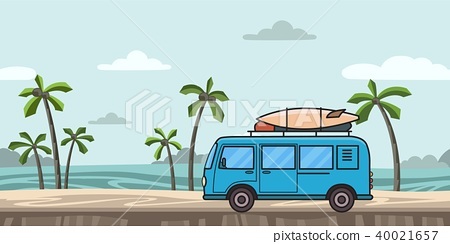 Blue minivan with surfboard and luggage on colorful seascape background with palm-trees and sea waves. Surfer's car by the sea. Flat vector illustration. Horizontal.